File Types: PNG,JPG,All Files; File Size: 77.4 MB; DPI: 300 DPI. 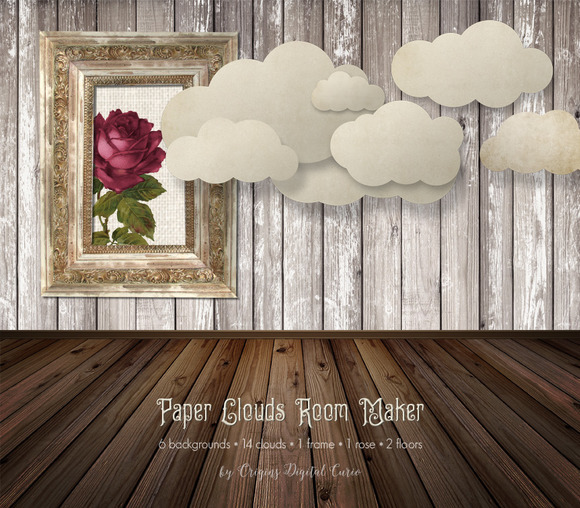 This is a set of digital images you can use to make your own room backgrounds, featuring whimsical paper clouds and vintage distressed textures. Here is what is included. - 1 vintage red rose clipart graphic, PNG format Use your creations in invitations, cards, web backgrounds, printable scrapbook paper, and much more! Please note, this is a digital listing. No physical items will be shipped to you. If you need help using the images please contact me. Keywords: Tagspaper cloudsroom backgroundsroom backdropsdigital scrapbook kitscrapbookingcloudswhimsicalclipartclip artvintagedistressedrusticwoodrustic woodold frameold woodbackdropsphoto backgroundsphoto backdropsoverlayscloud clipartcloud clip art.